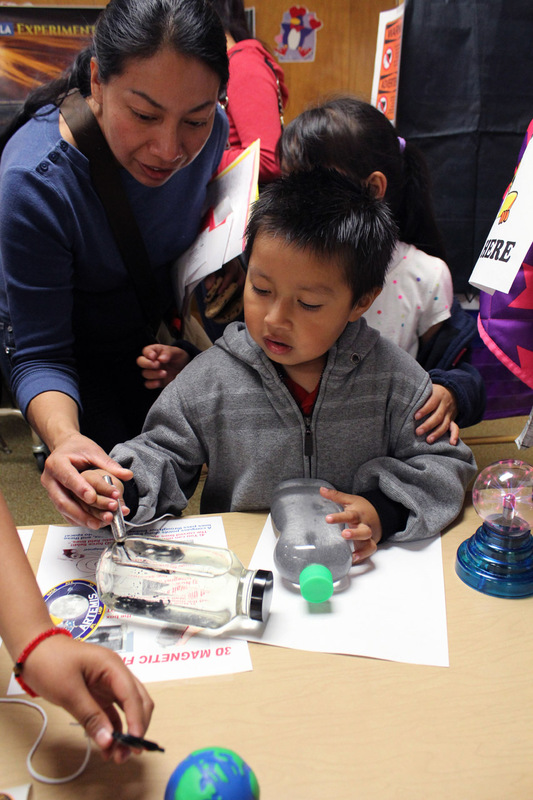 The THEMIS and ELFIN spacecraft teams shared their research with students and parents at Nora Sterry Elementary School during their Science, Literacy, and Math event on Friday, February 14th. 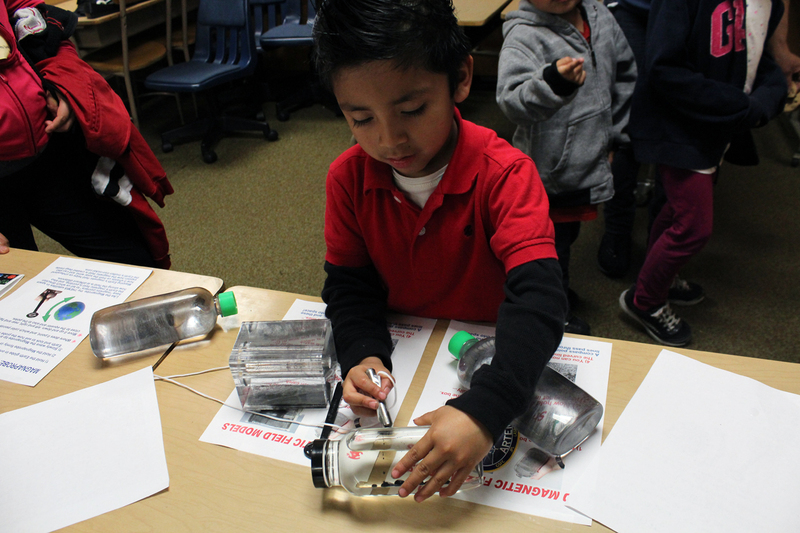 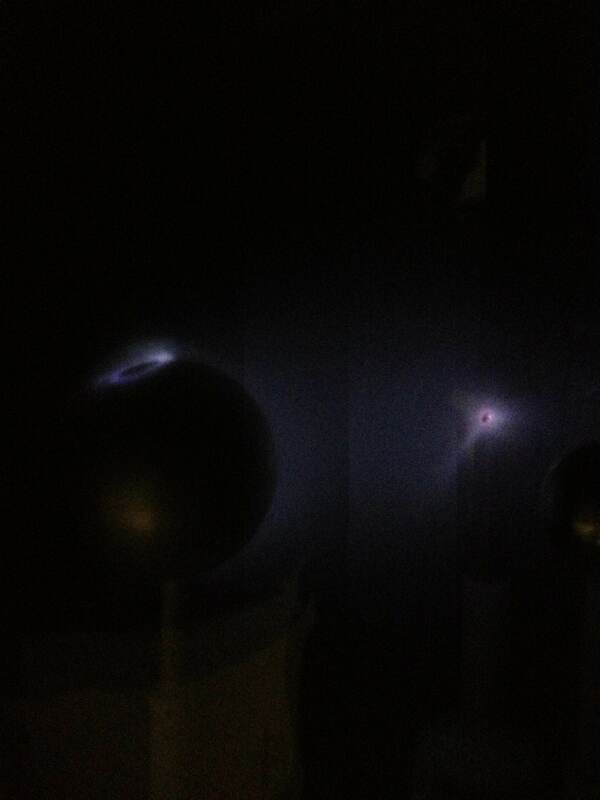 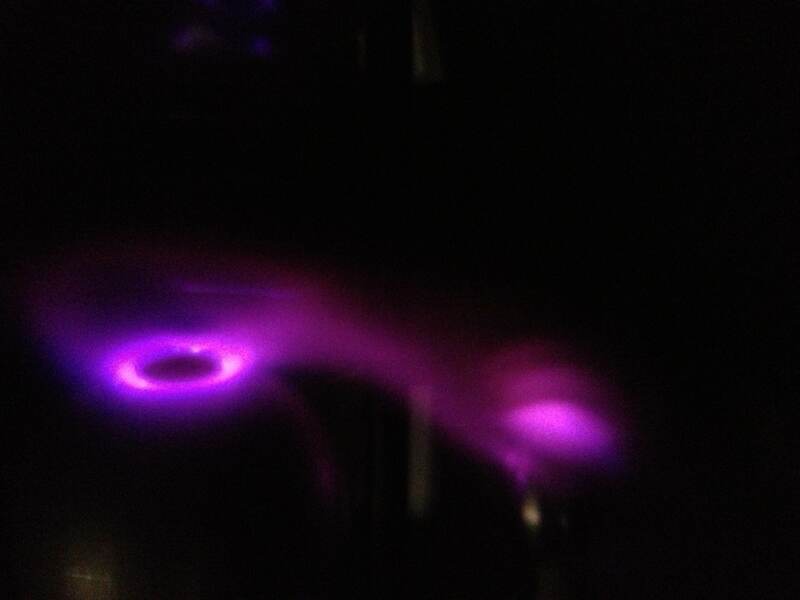 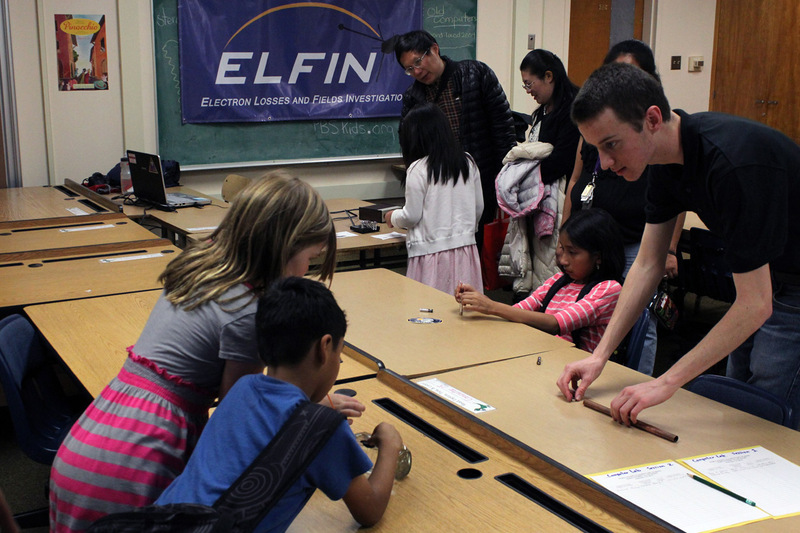 THEMIS outreach coordinator Emmanuel Masongsong delighted young students with magnetic demos and his recently constructed planeterrella, while ELFIN member Kyle Colton shared hands-on demos focused on electricity and satellite communication. 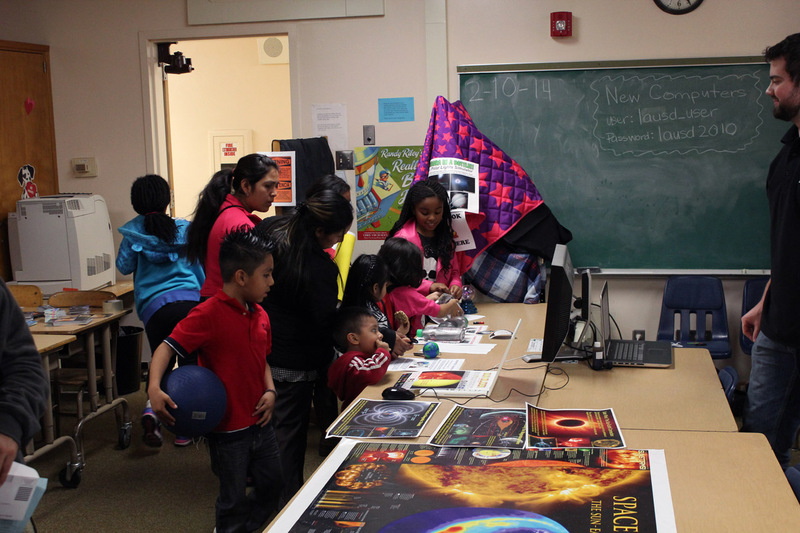 iPLEX is actively seeking K-12 educators who would be interested in astronomy or planetary science presentations at their schools or in their classrooms. 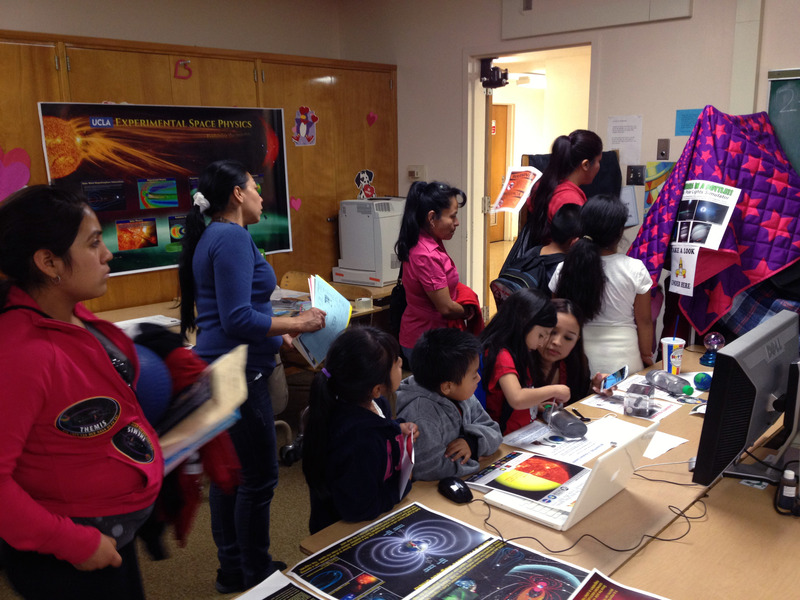 For more information or to request a presentation, please contact iPLEX at iplex@ess.ucla.edu .